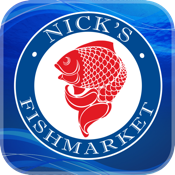 Nick’s Grill is now available as a delectable iPhone app. Learn more about our acclaimed restaurant, talented chef, extensive menu and so much more! Get directions to Nick’s from your current location, share a personal review of your dining experience through Facebook, Twitter and Yelp, and stay connected by receiving special offers, discounts and reminders of upcoming events.